Our visit to the homeland kickstarted with us filling our mugs from the open-flame glühwein cauldrons and welcoming adventurers into the wilderness. 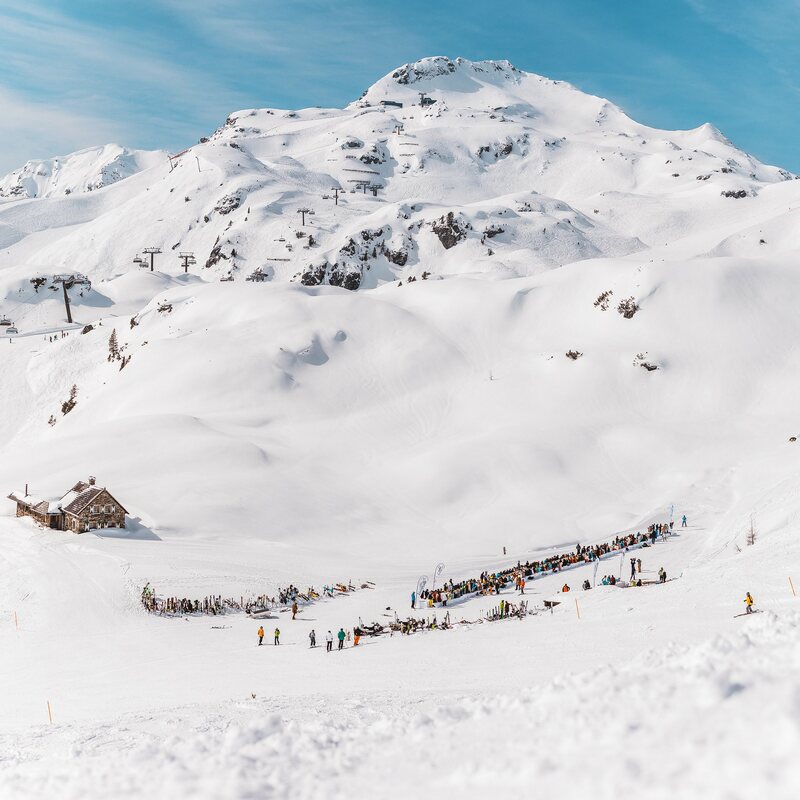 This is The Ski Week Austria. And nothing quite prepares you for the miles of jaw-dropping terrain and the beauty found on this alpine experience. 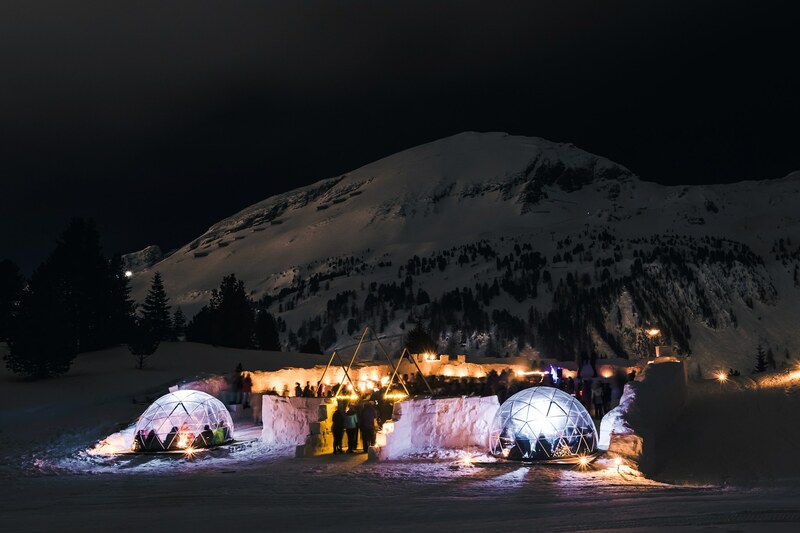 A late-night hike led to a purpose-built snow fort where fur lined igloos awaited and we celebrated the union of like-minded travelers under the stars. The fight to catch the first lift commenced early. The whole squad eager to hit the slopes, ready for powder, face shots and a frothing first day! 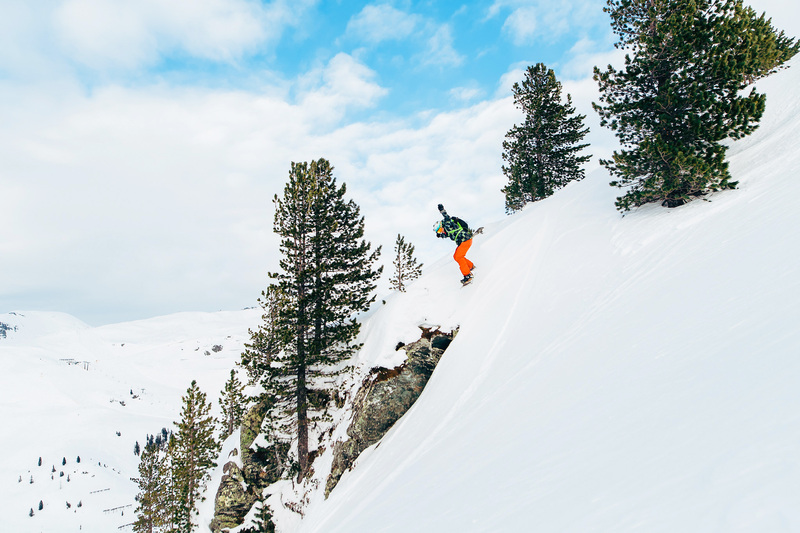 With wonderful tree glades, stunning vistas and open bowls and chutes that dreams are made of, this is our playground. And big mountains means long runs. The powderhounds set off for some casual cruising above the clouds while the rest glided down powder highways through the pines. There’s many a way to discover the secrets the mountains have to offer. Nature gave us the perfect reset button with another one of those powder-esque days. What better way to spend it than with the family in the sunshine, enjoying the mighty fine company and soaking up those white mountain views. Our obsession with the mountains will never cease to exist. 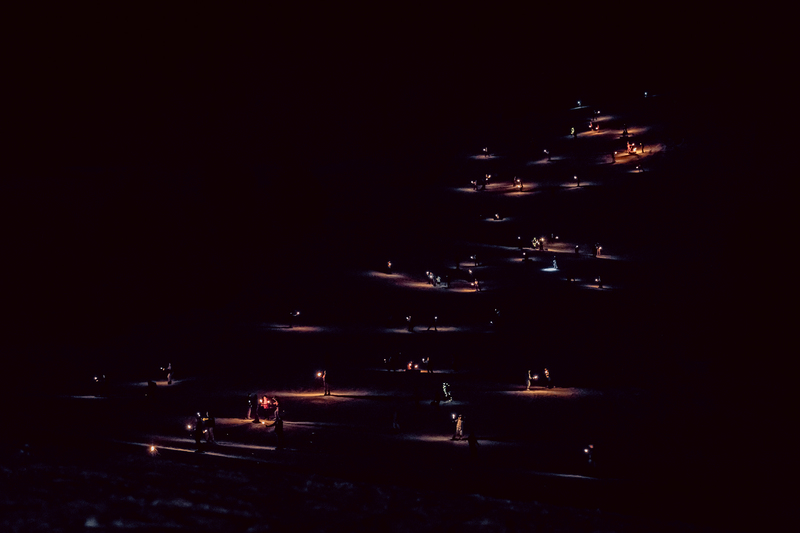 Just when you didn’t think you could be any more impressed by their beauty, we turned the lights off and this happened. It can’t be explained, only experienced. 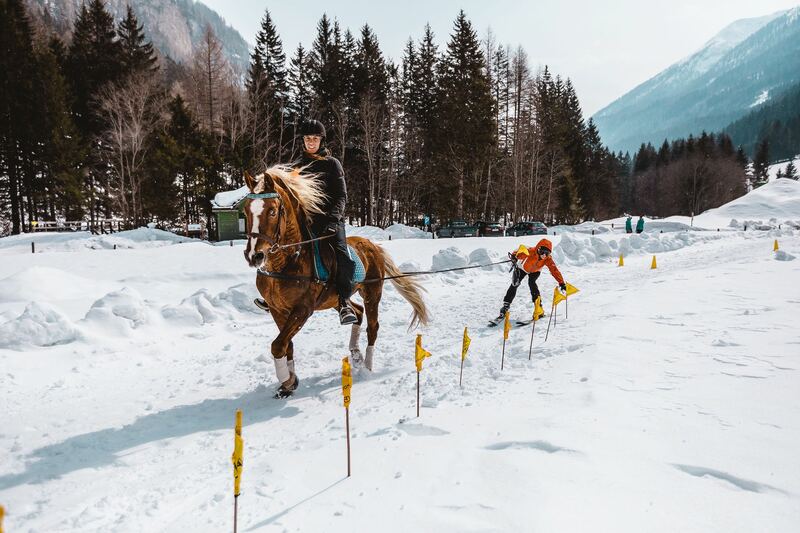 For the adrenaline-junkies that have already mastered downhill-skiing, uphill-skiing, cross-country skiing, heli-skiing and every other type of sport on skis, Skijoring seemed like a good idea. Derived from the Norwegian word skikjøring meaning ski driving, Skijoring crosses alpine slalom with horse racing. 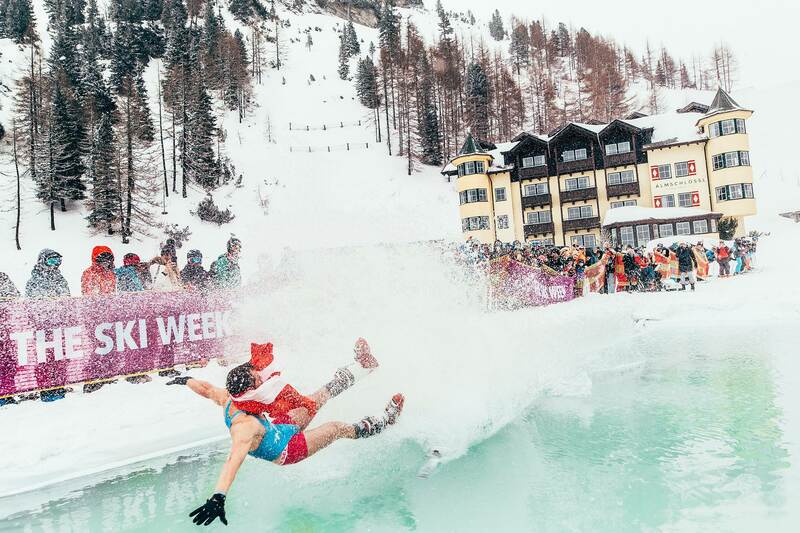 This is considered Winter’s wildest sport. We’d certainly agree with that. The yogis among us started the day off the perfect way, grounding and getting back to nature. Snowga combines the bliss of a yoga class with the backdrop of the mountains. We reached a whole new level of relaxation at 7,000 ft, proving that paradise doesn’t have to be tropical. We decided to pick it up a gear later in the day and switched from powder surfing to pond skimming. The stoke meter was high. To all those who competed, we salute you! The costumes, the willingness to put your body on the line and the down right rad images we captured from it. You guys impressed the masses! It goes without saying that a ski trip necessity includes eating a glorious alpine banquet at 7,000 ft off a 50m table of snow. However, Leo had a thought. 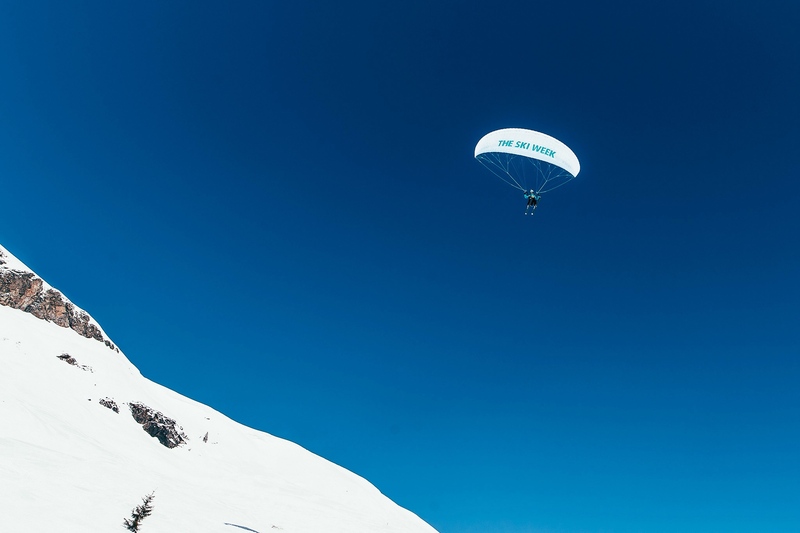 Why ski down to the mountain banquet when you can fly to it? And he did just that, to huge applause. Dressed in majestic faux furs, we feasted with friends new and old. The toasts were plentiful and the views, sensational. Ultimately, however, it was the laughter and camaraderie that made it the truly magical experience it was. Catching the sunset at the top of the mountain after a day of exploring new trails still manages to leave us speechless. 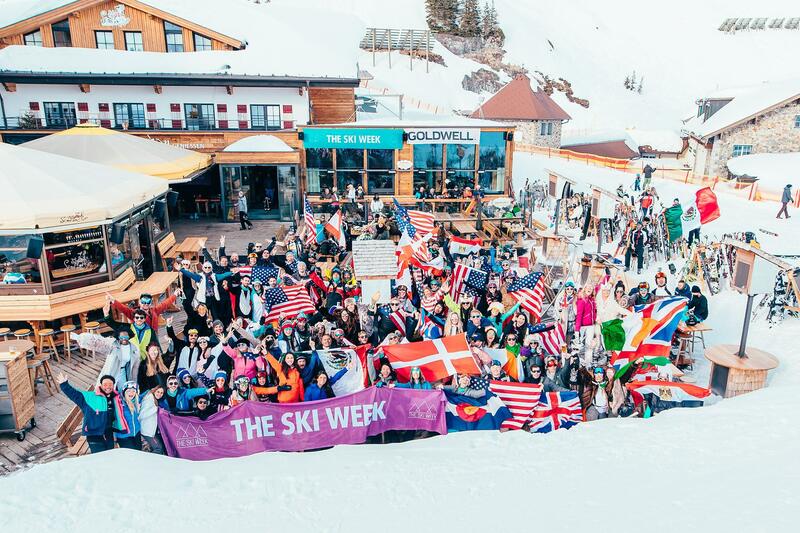 With our fill of good food and full hearts to match, we took to the skis and picked up our flags. This year's Parade of Nations was another one for the books. We weaved our way down the mountain in a magnificent array of colours and rolled straight into an epic après. Imagine a purpose-built private snow lounge, hand shaped to perfection and hidden in the wilderness. Corona and Mother Nature provided a little bit of mood lighting for us all at our Sunset Session and our friend DJ Bladtkramer joined the fold to add the final touch. 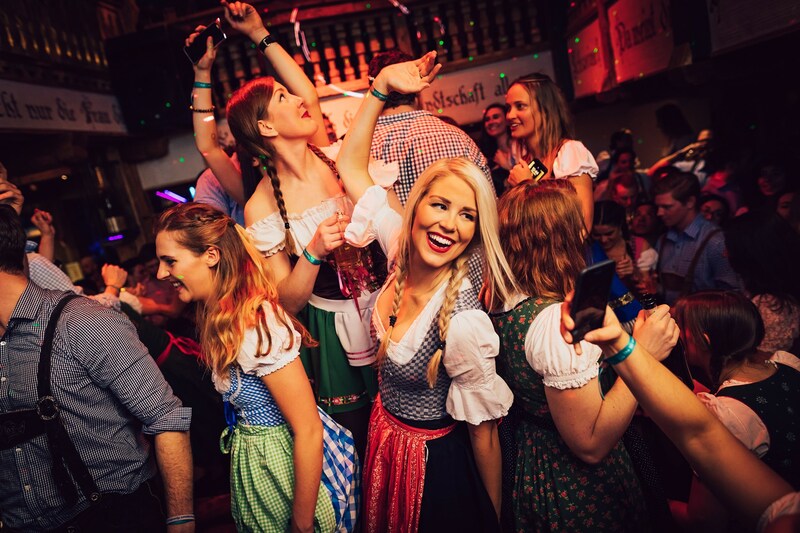 We finished the week the traditional way; donning our lederhosen, rocking our drindls, dining and dancing! Indeed it was an epic week of snow, shred and stoke. 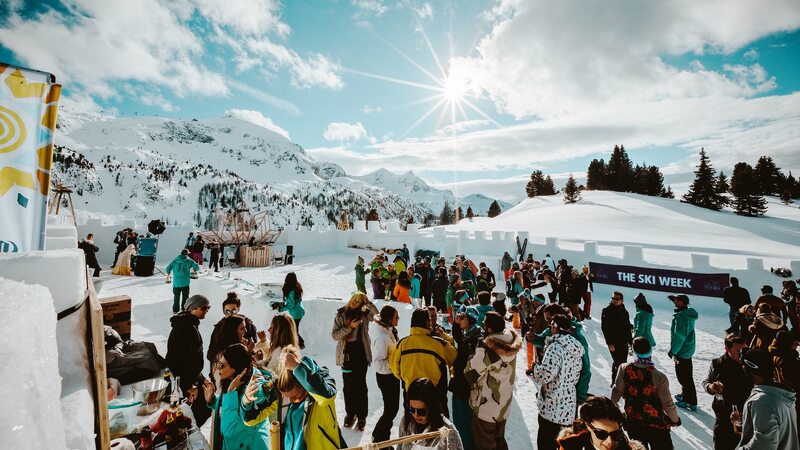 No matter where we venture to in future years to come, Austria will always remain the spiritual home of The Ski Week.